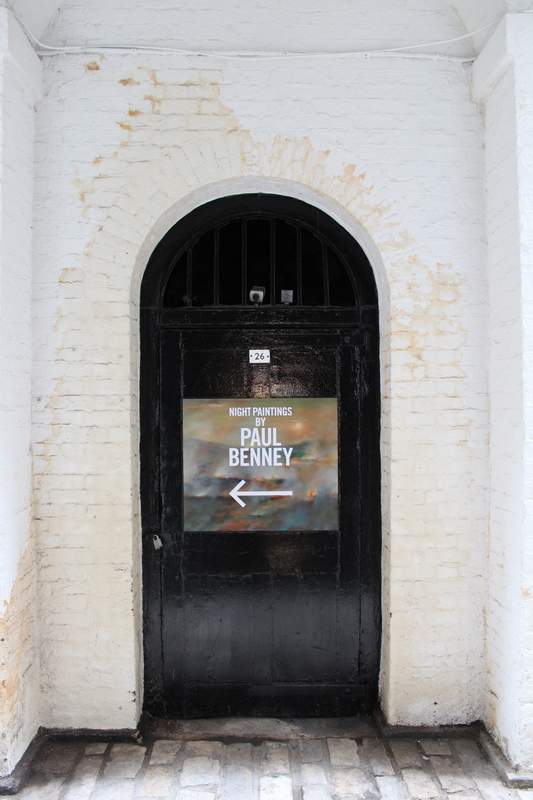 Paul Benney’s atmospheric series of paintings – entitled Night Paintings – are the perfect fit for their current home in Somerset House’s Deadhouse. 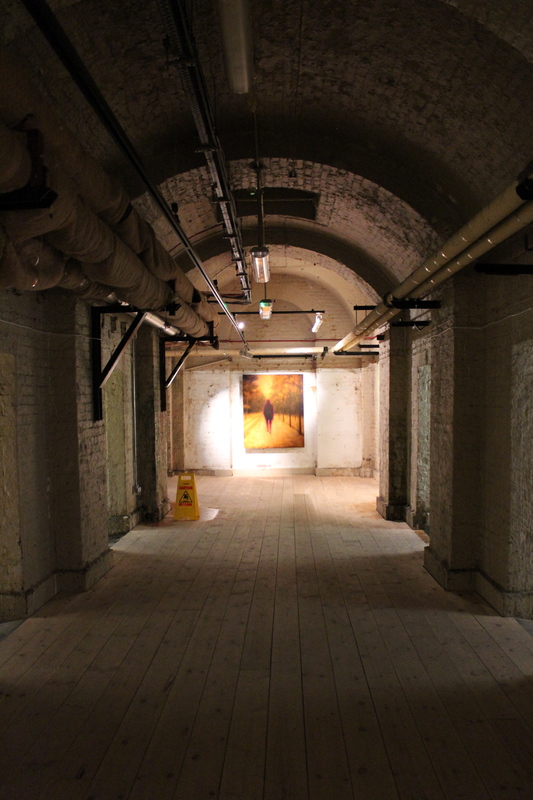 Londonphiles will also be interested to know that the subterranean Deadhouse and the surrounding lightwells – normally only accessible on guided tours or for private events – are currently open to the public for this free exhibition, the first of its kind in these spaces. 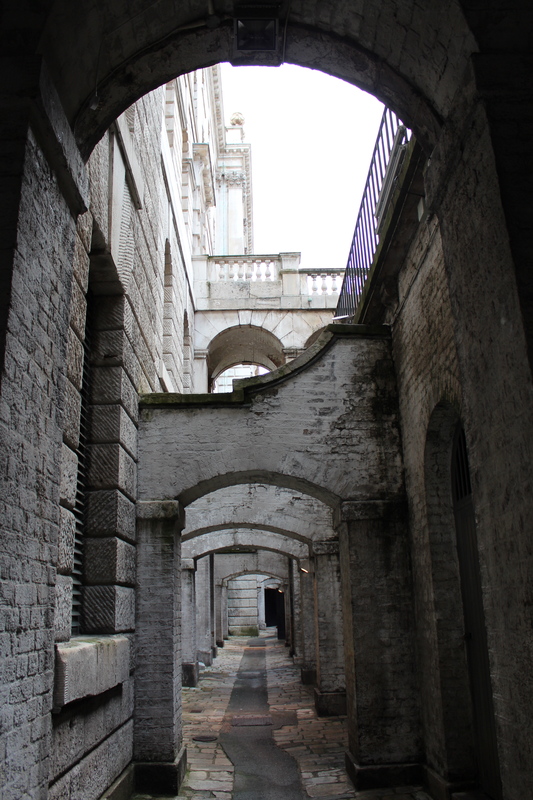 The Deadhouse runs underneath Somerset House’s Edmond J. Safra Fountain Court, linking the east and west wings and has long functioned as a passageway for just this purpose. The lightwells that surround the courtyards are home to a number of small alcoves – often used for storage – and some currently have individual works by Benney displayed very effectively within them. 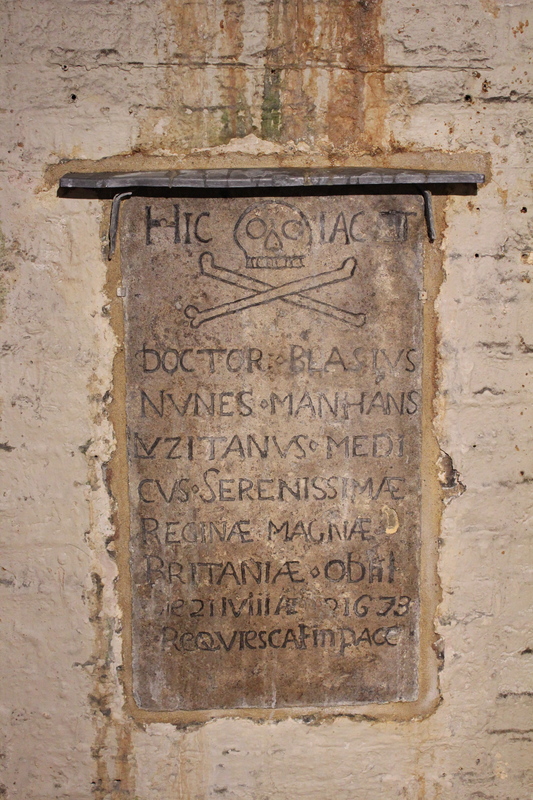 The Deadhouse is also home to a number of seventeenth century gravestones – but no bodies. To explain this anomaly we need to go back in time somewhat, into the depths of Somerset House’s long history. In short, a former incarnation of Somerset House used to be the Buckingham Palace of its day for the three queens who lived there. Charles I rather contentiously built a Roman Catholic chapel for his French queen Henrietta Maria here. This site also included a burial ground. When this version of Somerset House was demolished and replaced by the current building, which was built between 1776 and 1802, some of these gravestones were kept and relocated into the walls of what is now known as the Deadhouse. These walls actually serve to support the quadrangle due to the sloping nature of the site. But back to the art… London-based Benney has a studio at Somerset House – which also explains why his works suit the space so well. 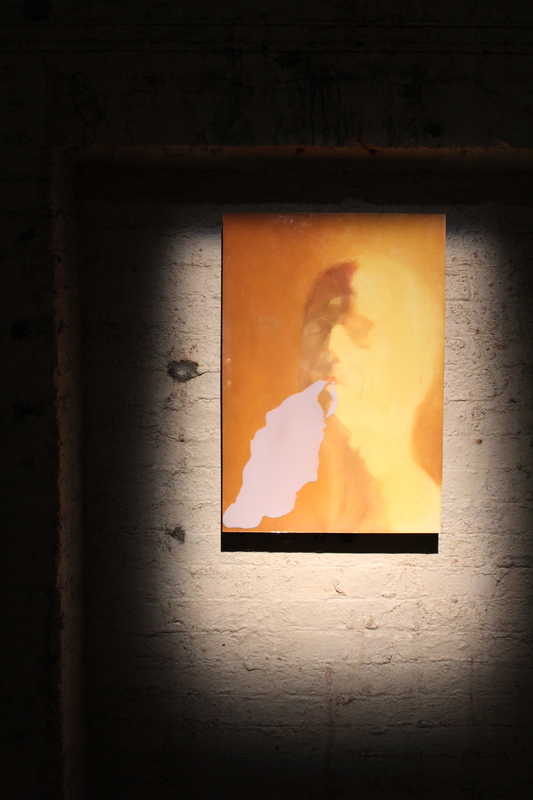 Night Paintings includes some works featuring an interesting use of resin and a number of water-based subjects. 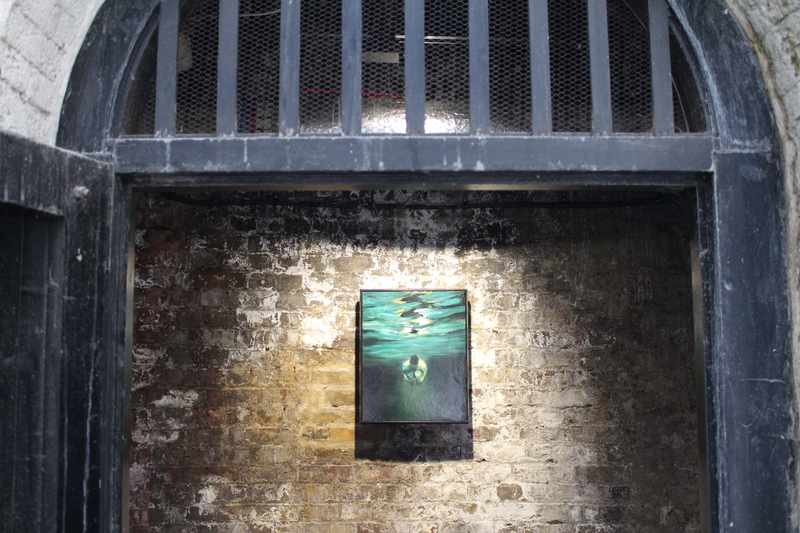 It was raining on my first visit to this exhibition and the watery works seemed well suited to the mysterious, damp, enclosed environment, which was literally dripping in places. 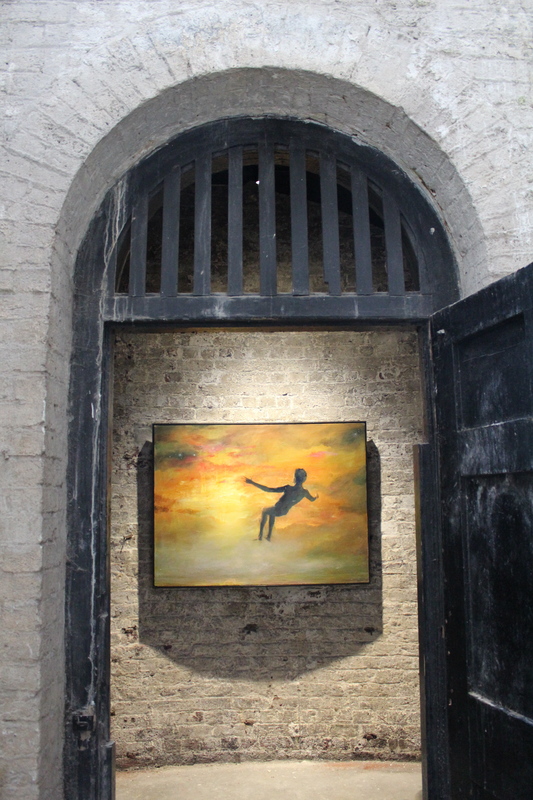 The shadowy, paved alleyways of the lightwells, with their individual works placed inside the alcoves, lead the viewer neatly round to the Deadhouse, where the larger body of works are found. So both the rare opening of the Deadhouse and Paul Benney’s evocative works make for two very good reasons to visit Somerset House right now. You have until Sunday December 9th, when the exhibition closes. Free guided tours of Somerset House – which visit the Deadhouse and lightwells – run all year round on Thursday and Saturdays afternoons.